If you have recently viewed this page, after loading the page be sure to click on the refresh button on your browser to see the current version of Advocacy Alert! Wisconsin and the articles below. Sign Up to Receive Our Free NHU Wisconsin Advocacy Alerts! via e-mail to stay on top of important Wisconsin legislation. The Wisconsin Legislative Notification System provides you the opportunity to follow important legislation through daily or weekly e-mails for specific legislative activities. You can choose items by Proposal, Committee, Author or Subject and can select the activities for which you would like to receive notifications. It's your future! Get involved! Stay involved! To call or email your legislators, find your Wisconsin State legislators and their contact information: Who Are My Legislators? or call 1-800-362-9472. Wisconsin Governor Tony Evers announced his State Budget Proposal for 2017-2019. Many of his ideas will be challenged if not altogether excluded from the state’s final approved budget. In the end, the budgeting process is a long one that requires great compromise and a hard look at the state legislature’s and governor’s priorities for the citizens of Wisconsin. We have summarized the budget proposals that could affect the lives of Wisconsinites with disabilities. It is essential that you advocate for the services you need to thrive as a citizen of Wisconsin. Contact your Senators and Representatives today! (See above)If they do not hear from you, your needs will not be considered, nor prioritized. The only way to ensure the state considers your needs is to become a loud voice throughout the process. The Governor's budget will include an additional 28 million to improve health care for Healthy Women and Healthy Babies Initiative This is important for the health and well-being and will directly affect the prevention of disability, for both mothers and infants. The initiative will also focus on addressing racial disparities in maternal and child health by creating an Infant Mortality Prevention Program at the Department of Health Services. "In 2016, (the most recent data available) there were 415 infant deaths in Wisconsin, or 6.2 deaths per 1,000 live births. These numbers alone are concerning, but when comparing the infant death rates of white infants to children of color, the disparities are startling." Disability Rights Wisconsin is partnering with Self Advocates Becoming Empowered (SABE) on the SABE GoVoter survey. The survey collects information about the voting experiences of voters with disabilities in the November 6th election. You may complete the survey online, or complete a paper survey and mail it in. Many voters with disabilities have had problems voting. Sharing your experience will help them learn if the voting barriers still exist or if they have improved. They will share what they learn with local, state and federal election leaders to protect our right to vote! Advocacy Alert! August 2018 - Survival Coalition asked Wisconsin Governor candidates about disability issues - Visit the answers to the survey. Are you registered to vote? Educate yourself about the election, and prepare to cast a ballot in November 2018! Are you registered to vote, educated about this year’s election, and prepared to cast a ballot in primaries in August and voting in November 2018? Use our NHU Voter Checklist to get ready to vote! Advocacy Alert! July 2018 -Will Your Voice Count in the 2018 Election? - Are YOU ready to vote? Federal and local Midterm Elections are mere weeks away. Have you been paying attention? Do you know what is at stake? If you haven’t, and if you don’t, then it’s time to get to work… because your life may very well depend on it! If you haven’t, and if you don’t, then it’s time to get to work… because your life may very well depend on it! If you have a disability, or you are a parent, family member, or caregiver of a person with a disability, chronic illness or a pre-existing condition, as it’s referred to these days, you do not have the luxury of sitting back silently as your legislators cut your benefits. This upcoming election is about your very existence! For more information and resources on disability issues, National congressional candidates, voter registration, state voter policies and more that will help YOU vote, go to Will Your Voice Count? 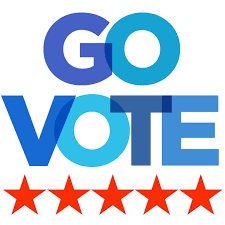 For more on (link no longer available)Wisconsin State Assembly candidates and disability issues, Wisconsin voter registration, Wisconsin state voter policies and more that will help YOU vote, go to: (link no longer available) Wisconsin Disability Vote Coalition Fall 2018 Elections . See the AAPD Rev up campaign article For Wisconsin Residents go to Vote.gov register Wisconsin. Advocacy Alert! 2018 Wisconsin - Wisconsin! Your Voice is Heard through YOUR Vote!! Mark your 2018 calendar for this years elections! If you live in Wisconsin these are the dates of elections. November 6 - Fall Elections. Check your municipal website for voting information and sample ballots. Research issues and candidates. Make your Voice Heard through YOUR Vote! U.S. Senators need to hear directly from constituents about how the proposed tax bills will affect people with disabilities and their families. The Senate could vote on this bill as early as this Thursday (11/30) or Friday (12/1). You can RSVP and invite friends using the https://www.facebook.com/events/134373263949405/ Facebook event. Share your concerns about how the current tax proposals could cut Medicaid and other programs you care about and use. Share your concerns about how repealing the requirement for all people to purchase health insurance may cause premiums to rise, more people to become uninsured, and result in fewer choices of insurers in some areas. If you or your family member has a rare disease, tell your Senators and Representative how this credit has or could impact quality of life for people with rare diseases. National Advocates say the bill will hurt people with disabilities because: The bill increases the federal deficit by $1.5 trillion. This means that the federal government is not collecting enough money to pay for existing programs and services (like Medicaid—which funds Family Care, IRIS, BadgerCare, Children’s Long Term Supports, the Forward Health Card and other Wisconsin programs). National advocates are very concerned that tax cuts, which reduce the amount of money the government has to spend, will result in cutting Medicaid, Medicare, Social Security and other programs and services that help people with disabilities. It eliminates tax deductions and credits—including the Rare Disease Tax Credit—that help people with disabilities work, access housing, and get medication. It gets rid of Affordable Care Act’s requirement that everyone have health insurance. This will cause premiums for people with disabilities and pre-existing conditions to increase, leaving health insurance unaffordable for millions. We cannot list all the concerns for people with disabilities that the bill will cut. For more information on additional disability concerns, visit Ask Congress to stop trading Tax Cuts for Medicaid from the AAPD or visit the Center for Public Representation article: National Call In Day: No Tax on Disability! Advocacy Alert! September 20, 2017 - AAPD - Action Alert! 10 Days to Stop Latest Health Care Repeal Effort - Wisconsin Contact your Senator Johnson! Tell your story! Once again we have to alert you that your Medicaid is in jeopardy as well as health care for preexisting conditions. Please raise your voice to once again help to stop health care repeal. The Graham-Cassidy-Heller-Johnson (GCHJ) bill – is another effort to repeal the Affordable Care Act (ACA) and gut Medicaid – and it is gaining traction in the Senate. Last week Senator Cassidy (R-LA), one of the co-sponsors, told reporters he believes he has support from 48-49 Republican Senators, just two or three votes shy of the majority needed to pass this bill. Learn about the bill in this article from the American Association of People with Disabilities (AAPD) which also has everything and every idea on how to contact your senator - Action Alert! 10 Days to Stop Latest Health Care Repeal Effort! We must not be complacent, we must continue to be actively educating, training and building accessible awareness in our communities! Advocacy Alert! June 26, 2017 - Wisconsin! If You are concerned about Your Medicaid make Your Voice Heard!! The Wisconsin Board for People with Developmental Disabilites offers the following article and urges you to Call Senator Ron Johnson and tell him your story today! Call Senator Ron Johnson and tell him you are concerned also because: "Cuts to Medicaid will hurt Wisconsin’s economy and lead to job loss. Medicaid brings about $5 billion to Wisconsin which supports hospitals, providers, and jobs through 20 Medicaid-funded programs. There are 75,000 Medicaid providers in Wisconsin – many of them small businesses and in rural communities. Cuts to Medicaid will result in cuts to provider rates and make provider shortages worse!" Tell Ron Johnson Wisconsin legislature voted against such cuts to our Wisconsin small business health care infrastructure this past year and Wisconsin cannot afford it devastated at the federal level. Your Wisconsin voice is important! Advocacy Alert! April 2017 - Wisconsin Board for People with Developmental Disabilities (WBPDD) urges you to continue to tell your story! to the Wisconsin Joint Finance Committee about your concerns for the Wisconsin State Budget. Do you have concerns about your transportation or special education in the state of Wisconsin for people with disabilities, tell your story to your Wisconsin legislators and Joint Fnance Committee. Also be sure to thank the legislature for continuing to support Family Care, IRIS and other Long Term Care supports for people with disabilities in our state. Be sure to include any personal story about your use of Medicaid and community supports for people with disabilities to live and work in their own communities and ask to expand these supports rather than to nursing homes. To understand what is in the budget and what is not in the budget, visit the WBPDD articles 2017 State Budget Summary for Self Advocates and 2017 Budget Training which explains all about Medicaid, what Medicaid supports in our state and from the federal level and how to talk or write to your legislator. Through the month of April the Joint Finance Committeee is holding hearing sessions throughout the state on the Wisconsin Budget. If you cannot make the sessions, you can write and send your comments. You can submit written comments to BudgetComments@legis.wisconsin.gov or send a handwritten letter to: Joe Malkasian, Room 305 East, State Capitol, Madison, WI 53702. Go to the following Wisconsin Board for People with Developmental Disabilities article for more information. Advocacy Alert! April 4th 2017 - Wisconsin! Your Voice is Heard through YOUR Vote!! Vote for Special Education in Tuesday elections! Stay involved with your vote! State Superintendent of Public Instruction is on the Wisconsin ballot. Read about each candidate and make your decision about who will support Special Education. Tony Evers is the current superintendent and has supported Public Education and Special Education. He shows respect for tax payers, students, parents, teachers, and administrators, encouraging innovation and embracing collaboration. Tony Evers a champion of public schools from the Fond du Lac Reporter. "Public schools serve all students regardless of income, ethnicity or ability level..... His 2017-19 budget proposal prioritizes fair funding for schools, support for rural schools, increased special education funding and expanded summer learning. Under his Fair Funding Plan, all school districts would see an increase in their state general equalization aid while not experiencing increasing property taxes.......Recent studies (New York Times, Feb 23) show that when test scores of public school students are compared to the scores of their peers attending voucher schools, public school students outperform their voucher-school peers." Advocacy Alert! March 2017 - American Association of People with Disabilities (AAPD) Strongly Urges You to Get Involved to Urge Congress to Save the Community First Choice Option and other Provisions of the Affordable Care Act! and Stop cuts to Medicaid for the health and well being of you and millions of people with disabilities! "The Community First Choice Option (CFCO) was the result of decades of advocacy by the Disability Community! A stand-alone program passed along with the Affordable Care Act (ACA), CFCO enables many disabled people to live in the community. Proposals to repeal the ACA have eliminated CFCO without any discussion. Repeal of the ACA, would also eliminate accessibility standards for Medical Diagnostic Equipment and insurance protections for people with pre-existing conditions. These advances in the rights of disabled people should not become collateral damage to politics." Congress is planning to repeal the ACA and make changes that will cut Medicaid. People's health, services and lives are at stake! Shifting the costs to individuals or family members to make up for the federal cuts. The costs of providing health care and long-term services and supports will not go away, but will be shifted to individuals, parents, states, and providers. Urgent - What Can You Do? Contact your local and federal legislators, by calling 202-224-3121. Urge them to keep the Community First Choice Option in any ACA replacement." Reach out to your Federal and state legislators and the Governor’s office in your state and tell them how repealing the ACA and replacing it with a plan that CUTS Medicaid will affect you. People's health, services and lives are at stake! Read the Consortium for Citizens with Disabilities article New URGENT CCD Action Alert ACA and Medicaid for how to contact your legislators and explain the importance of Medicaid and the ACA for you and people with disabilities. Organization sign-on letter urging Congress to save disability-specific provisions in the Affordable Care Act. Individual email to Members of Congress urging them to keep the Community First Choice Option in any ACA replacement. There are other provisions of the ACA that if repealed could cause critical lack of health care for those most in need - people with disabilities in our communities. Visit the Consortium for Citizens with Disabilities article People with Disabilities Benefit from the Affordable Care Act . Advocacy Alert! January 2017 - Medicaid Block Grants: What They Are and How They Could Impact You? Chances are, you or someone you love relies on Medicaid for any number of services; routine health care, personal aides, or health therapies, just to name a few. Perhaps you’ve heard rumblings recently about some proposed changes to Medicaid; specifically, the idea of changing the way in which Medicaid services are funded by the Federal government. It's called block granting and here's what it could mean for you. A block grant is essentially a lump sum payment to states, shifting direction away from the Federal Government and instead allowing state governments to direct services as they see fit. Proponents of block grants believe this flexibility will lead to "innovation." It's important to note however that most block grant proposals start with significant reductions in federal spending. Congress’ most recent 2016 proposal would cut $1 trillion from Medicaid, or one third of the program budget over the next decade. This means that over time, states would have less money to work with, leaving Governor's with two options: (1) create revenue (read: raise taxes) to meet existing demand or (2) cut services and/or eligibility. What could Medicaid Block Grants Mean for You? Unless your state has a plan to make up for the reduced federal spending, the risk for fewer services and personalized options is high, particularly if you use Medicaid for community-based, self-directed care. This could mean that you would have to rely more heavily on family members for care. If you don't have family to help, then possibly agencies (or worst case scenario, institutions) that can provide unpredictable care. Of course a myriad of other services could be impacted as well, such as day programs, therapies, rehabilitation, etc. Read this excellent Op-Ed by Barbara Beckert of Disability Rights Wisconsin - Medicaid Block Grants Could Hurt Wisconsi. While the impact of block grants will vary by state, this Op-Ed gives an important glimpse into what could happen. If you live in the state of Wisconsin, have you registered to vote? If you have not registered, do not be turned away from the polls from voting because you do not have proper documents to register? Try to register to vote ahead of time. If you have not voted in the last 4 years, you may no longer be registered. Visit our Wisconsin Voting Guide for more information on registering to vote in the state of Wisconsin. Would you like to know more about your Wisconsin Legislative candidates and Wisconsin's U.S. Representatives for this November's elections. Visit Wisconsin Eye Campaign 2016, scroll down and select on the side bar. This feed has candidates' interviews, who will be on your ballot and election results after the vote. DHS Secretary, Kitty Rhoades, sent a letter to the Joint Committee on Finance (JFC) formally withdrawing the concept plan approval request for Family Care/IRIS 2.0 reforms. The Concept Paper outlining the Department's plan to reform the state's Family Care and IRIS programs was submitted for JFC approval on March 31, 2016. As stated by Secretary Rhoades in her letter, DHS remains committed to the goal of an integrated outcome-based care model that coordinates all of an individual’s care needs. We are currently working through next steps and we will be working with members of the legislature, advocates, and stakeholders to continue to make progress towards this goal and improve the quality, coordination, and cost-effectiveness of Medicaid services. "We have received comments, feedback, and questions from providers, advocates, legislators, and most importantly consumers on our approach for a sustainable solution that provides better care for consumers at a lower cost to taxpayers. Therefore, I am writing to withdraw the concept plan approval request at this time." The Secretary would like to send a special thank you to everyone who took the time to submit comments and questions in person at public hearings, in writing, and by phone. Your input was invaluable during this process. Good news in this Milwaukee Journal/Sentinel on-line article which reports "Lawmakers delays likely on long term care changes." Wisconsin people with disabilities, the elderly and their families have been very concerned with the proposed changes to Family Care and IRIS programs that spell out cuts to those using these programs, which means loss of care, transportation and housing without a clear replacement plan. Senator Alberta Darling of the Joint Finance Committee will probably delay the vote. The League of Progressive Seniors have sent notice to you to advocate for the elderly and people with disabilities. Ask Senator Alberta Darling and the Joint Finance Committee to please delay the vote on the proposal to change Family Care, a solid program to a poorly planned giveaway to big insurance companies. Family Care has worked for over 16 years, to allow people to live on their own, hold jobs, and develop their potential. Proposed savings to the state means cuts in services, people will lose one third of their current aid. elderly and disabled persons could lose the care, transportation and housing which allows them to lead full lives in the community outside of institutions. Institutions and nursing homes were closed years ago to allow people to live in their own communities. Where will people go without Family Care local supports? No one wants to live in an institution and it will cost the state much more than Family Care to to take people out of their homes and put them in costly institutions or out of work. Stable effective non-profit groups will lose $3 billion in contracts costing local communities hundreds of jobs. The DHS is unable to explain why this change is needed, how this change will be carried out and how to avoid disrupting the lives of the elderly and disabled. Wisconsin 's perceived budget problems will be "fixed" on the backs of people with disabilities and the frail elderly, our most vulnerable population for a poorly planned idea that has not even been developed yet. The vote for Family Care/IRIS 2.0 is currently in the works, and major decisions will be made by the end of May. Thousands of people using long-term care programs will be affected by these decisions. Please contact your legislator today and tell them why you want long-term care to stay local, and why these programs are vital to an independent life and that they should delay the vote until there is time to develop a plan that can work. Don't wait! The decisions of today can greatly affect the future. ADVOCACY ALERT! 2016 Elections: Tuesday, April 5, 2016 - Spring Election and Presidential Preference Vote - Wisconsin Citizens with Disabilities - Be sure to vote! THERE IS NO VOTING AT YOUR TOWN, VILLAGE or CITY HALL THE MONDAY BEFORE THE ELECTION IN WISCONSIN. For your sample ballot, go to your municipality's website page and click on Election Information and then on Sample Ballot or similar for the Spring Election. March 2016 - Yes! You Can Work and Continue to Earn SSI Benefits! A major concern of people with disabilities, caregivers, and social workers is how a person with a disability who is able to work can keep their earnings and continue to receive their Supplemental Security Income (SSI) benefits, and, perhaps more importantly, their Medicare/Medicaid benefits. Now, there are two important ways that Social Security has provided to help with these concerns: the Trial Work Period and the ABLE Act of 2014. Learn more by visiting our new guide: Yes! You Can Work and Continue to Earn SSI Benefits! In Wisconsin we need to bring awareness to the everyday issues of individuals and their families who face mental illness. We need a stronger mental health system in Wisconsin. Helping families in Mental Health Crisis Act(HR) 2646 2015- bipartisan Bill in Wisconsin legistlation, focus on comprehension health reform. Bring awareness to the everyday issues faced by individuals needing a stronger mental health system. The Wisconsin legislature is considering legislation intended to improve the child abuse and neglect investigation process. Recently Disability Rights Wisconsin testified in the Capitol to create awareness of unique concerns for children with disabilities and their parents, as well as parents with disabilities. 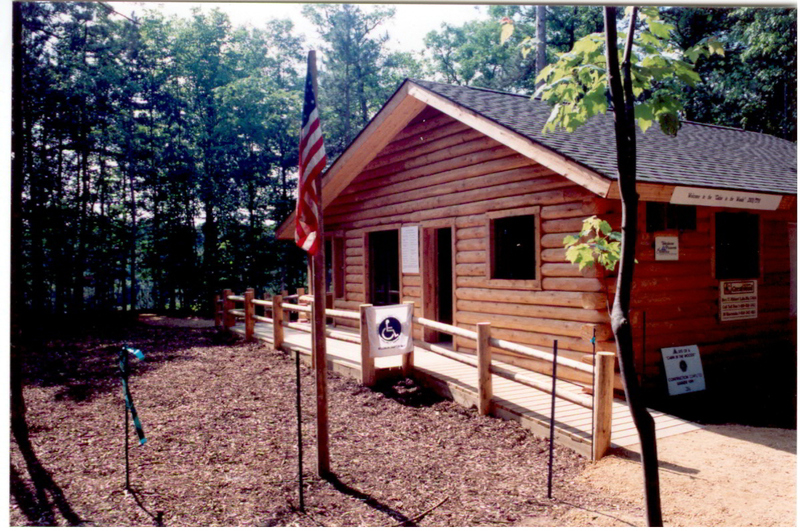 Visit their testimonies at Disability Rights Wisconsin. The summary of their last testimony is as follows: "We believe that the current process does, in fact, discriminate against both the child and parent with disabilities by failing to recognize and accommodate the communication and other needs of people with disabilities. This proposed legislation does nothing to remedy this. We are asking this committee to consider adding a requirement that the state’s child protective services agency develop model policies and procedure to deal with situations where either the child or parent has a disability that requires an accommodation. These model policies must be replicated and enforced at the county level to be effective." They give model policies from other states. The Wisconsin State Legislature Representative John Macco (R-Ledgeview) introduced LRB-2015/1 with Sen. Robert Cowles (R-Green Bay) and Attorney General Brad Schimel. LRB-2015/1 will require that child abuse or neglect cases to be referred to law enforcement. Although both types of cases are considered felonies, currently they are referred only to Child Protective Services. Recent news concerning recurring referrals to Child Protective Services for children with disabilities brings awareness that children with any type of disability are 3.44 times more likely to be a victim of some type of abuse compared to children without disabilities. (Sullivan & Knutson, 2000). The difficulty in investigation comes when the victim is non-verbal. Whether the investigator will be Child Protective Services or Law Enforcement, the new bill does not yet address the issue for children and adults with disabilities. This meeting is expected to last two hoursAn informational hearing presents another opportunity for you to educate your legislator about what is important to you about long-term care supports for people with disabilities and older adults in Wisconsin. The Assembly has scheduled an informational hearing with invited testimony from experts – which means that there will be no testimony from the public at this hearing. Attend or Listen to the hearing yourself (it will be broadcast on WisconsinEye and take notes. What recommendations from the experts do you feel strongly about? Follow-up with your legislator after the hearing and ask them to make recommendations about long-term care directly to the Department of Health Services. Ask them to represent YOU and your voice! The 2015-2017 State Budget, Act 55, directs the Department of Health Services to make a number of changes to the Family Care and IRIS Programs. The Department is holding public hearings throughout the state in September 2015 in order to receive testimony from interested parties. Public testimony will be accepted beginning on September 9, 2015, to coincide with the first public hearing. Testimony may be submitted in-person at one of the public hearing locations listed below, as well as by email or U.S. Mail. Written testimony is due by October 11, 2015. The state budget eliminates IRIS as a separate Medicaid Waiver program, and folds self-direction under the umbrella of managed care. However, DHS must renew the current IRIS waiver - set to expire at the end of 2015 - so the IRIS program can continue to run until (and if) it is replaced by the new system. Every opportunity to tell DHS what self-direction should look like is important. Submitting public comments on the current IRIS program—even though the state budget calls for self-direction to be folded under managed care in the new system—can clearly communicate the elements of self-direction that people with disabilities and their families feel are important to retain in a new system. Survival Coalition has prepared a brief Frequently Asked Questions Sheet for your review. Also, be sure to read the proposed IRIS waiver. Advocacy Alert! June 24, 2015 - As you may know, the budget has not yet moved out of the Wisconsin Joint Finance Committee, since there are still issues being debated. Please write your legislator today to provide guarantees for the types of services in our current Family Care/IRIS Wisconsin Long Term Care programs! Open up our managed care system to for-profit insurance with no specific caps on profits or administrative costs. Do NOT provide guarantees on the same levels or types of services in our current Family Care/IRIS programs. This plan may be different from the Governor’s but it heads in the same direction. Private insurance companies cannot promise savings in Wisconsin. What can you do? You can share this explanation in an email to your legislators. Let them know that we are still concerned about the future of IRIS, Family Care and Aging and Disability Resource Centers! See above links for your Wisconsin Legislature and the members of the Joint Finance Committee. See the Resolution by the Wisconsin Coalition for Long Term Care at Retain Wisconsin’s Current Long-Term Care System — Family Care, IRIS, Partnership, and Aging & Disability Resource Centers — and make it available in all counties. It is not too late to try to retain Family Care and IRIS, your opportunity to TAKE ACTION to change the state budget and convince legislators to keep vital supports in place. People with disabilities, older adults in long term care, their families and caregivers, and their supporters from across the state, come join Save IRIS and the Wisconsin Coalition for Long Term Care in Madison, Tuesday, June 9, starting at 9:30 at the Madison Senior Center, 333 W. Mifflin St., Press event: 10 a.m.; March to Capitol 10:30 a.m. Make your voice heard! Rolls IRIS under managed care instead of keeping it as a separate program. Does NOT provide guarantees on the same levels or types of services in our current Family Care/IRIS programs. For more information visit and the Wisconsin Coalition for Long Term Care: Press Release: May 27, 2015 Key Legislative Committee Unveils Longterm Care Plan that Contradicts Public Input: Advocates and Families Shocked . Advocacy Alert! It is not too late. Your final chance to share your voice on long-term care in WI! The Joint Finance Committee took a critical vote on the proposed changes to Family Care, IRIS and ADRC's here in Wisconsin - It is not signed yet! Make your voice heard. If you or your loved ones utilize any of these services the time is NOW to contact your legislators! A recently released analysis by the non-partisan Legislative Fiscal Bureau (LFB) says:"If the proposed changes would be adopted, the current long-term care system, including the regional MCOs, would be eliminated." And there is no back-up plan if the new program fails! We must encourage the members of the JFC to remove the proposed changes to Family Care, IRIS, and the ADRCs. Contact your legislator before Wednesday's vote if you support keeping current programs in place. Following are specific recommendations supported by the Wisconsin Board for People with Developmental Disabilities. The time is NOW. The vote is today! After we had published our (link no longer available)>NHU article on the proposed Wisconsin Budget reductions to the long term care programs of IRIS, Family Care and the ADRC services, the Wisconsin Legislature has issued an announcement that the Republican leaders on the Joint Finance Committee rejected Governor Walker's proposed long term care changes, although pursuing limited reforms with strong legislative oversight. See the May 14, 2015 Wisconsin Legislature Announcement. Wisconsin State Representative, Mark Born, has introduced a Motion to take the changes to Family Care, IRIS and the ADRC's out of the 2015-17 Biennial Budget. "These programs affect the lives of thousands of individuals across the state. There is a lack of details and clear plan in the budget which leaves people unable to prepare for changes, and the changes need more input from stakeholders to better understand how they will affect participants, their families and the state." (link no longer available)See the Born Senate Motion. We congratulate Rep. Born for taking leadership on this important issue. 3. Share the Born Motion with your legislator and people in your community. Ask people you know to contact their legislators as well. 4. Share with your legislators the list of questions (link above) that still need to be answered: Family Care, IRIS and ADRCs: Questions. Ask your legislator if they will help you get answers to your questions. See the links above this article to find your Wisconsin State Legislators. The 2015-17 Wisconsin State budget is calling for some major changes to the state's long term care programs (including Family Care, IRIS, and the Personal Care Program) that may directly impact you and your family. Disability Rights Wisconsin has developed an overview of the proposed changes. write your Wisconsin legislators about how the major changes to the state's long term care programs will affect you. For more information, Life Navigators has offered the following links from various resources. Be sure to view the Issue Cards if you need key talking points to tell how these programs will affect you. Issue Cards featuring key talking points in eight main topic areas: Adult Long Term Care, Children’s Long Term Support, Mental Health, Transportation, Medicaid, Education, Employment, and Workforce. Share this information with family and friends and ask them to contact their Wisconsin legislators today! March 17th is Wisconsin Disability Advocacy Day! If you are participating at the capitol, be sure to visit our NHU facebook page to tell of your activities today and with which Wisconsin legislators you were able to speak today or share what you were trying to accomplish via email to all your family and friends and ask them to contact their Wisconsin legislators! The new Wisconsin budget will affect people with disabilities' long term care. If you were unable to register in time for Disability Day, be sure to write your Wisconsin legislators about how the major changes to the state's long term care programs will affect you. For more information, Life Navigators has offered the following links from various resources. Be sure to view the Issue Cards if you need key talking points to tell how these programs will affect you. The 2015-17 Wisconsin State budget is calling for some major changes to the state's long term care programs (including Family Care, IRIS, and the Personal Care Program) that may directly impact you and your family. Disability Rights Wisconsin has developed an (link no longer available)overview of the proposed changes. Go to Wisconsin State Legislature and type in your address to find your legislators. Call the number that is listed. I am calling because I am very worried/concerned about the proposed budget's plan to eliminate the IRIS program. Ask your Senator/Representative to please take elimination of IRIS out of the budget and encourage more time and study to determine the impacts of such a big change. Remember to be respectful. We are making allies to help us SAVE IRIS. The Survival Coalition is planning a Disability Advocacy Day on Tuesday, March 17th in Madison. This event is free but requires registration. Register now. CILs across the state will be hosting free rides to this important event. Locate your CIL. If you cannot attend Disability Advocacy Day in Madison, then consider attending a local Budget Training session and use the information to advocate from your home. Find a session near you. Please share this with your networks far and wide. We must not allow the well being of our children and adults with disabilities to be compromised in favor of budget cuts and catering to private enterprise. This is your LIFE! Do not allow politicians to dictate how you live! Do you want to join advocates across the state in their efforts to save IRIS? Follow the efforts of the Save IRIS Campaign on Facebook. After the Treasury Department establishes the rules, your state will be able to set up a program for ABLE accounts for people with early onset disabilities. States can opt out and contract with another state to offer the program so it is important to contact your state representatives to let them know this program is important to you! The ABLE savings account will allow individuals to supplement that which assistance will not cover for accessible housing and transportation, personal assistance services, assistive technology and health care not covered by insurance, Medicaid or Medicare. You will have the option to save up to $14,000 in a tax-free savings account, eliminating the $2,000 asset cap SSI and SSDI beneficiaries face. For more information, visit this video on Ten Things You Must Know About ABLE Accounts and ABLE Account Planning: Six Next Steps for 2015 Be careful with the 6th step which is to start saving. We do not recommend this until we find out more about regulations of accounts as you do not want to lose your benefits. December 16th, 2014 - the U.S. Senate overwhelmingly passed the Achieving a Better Life Experience (ABLE) Act of 2014- It will now be up to the individual states to set up an ABLE program so you can use this tool to set up an account by the end of 2015. Achieving a Better Life Experience (ABLE) Act will allow people with disabilities (with an age of onset up to 26 years old) and their families the opportunity to create a tax-exempt savings account that can be used for maintaining health, independence and quality of life. In the past if you were born with Cerebral Palsy or Spina Bifida you were only allowed to keep $2000 to maintain eligibility for public assistance. Your parents could not save for costs related to raising a child with significant disabilities or a working age adult with disabilities. The ABLE savings account will allow individuals to supplement that which assistance will not cover for accessible housing and transportation, personal assistance services, assistive technology and health care not covered by insurance, Medicaid or Medicare. You will have the option to save up to $14,000 in a tax-free savings account, eliminating the $2,000 asset cap SSI and SSDI beneficiaries face. This could finally mean financial freedom!! The individual states will need to set up an ABLE program and hopefully you will be able to set up an account by the end of 2015. See above on how to contact your state representative to get this set up at the state level. For more information on the bill, see the National Disability Institute's article on the passage of this bill. If you have questions or ideas, information and solutions that you would like to share with us, we can be reached on the Net at: horizons@new-horizons.org or to use our NHU E-Mail Form or NHU Community Forum, click on the links below. © Copyright 2016-2019 New Horizons Un-Limited Inc.